Following the identification of the British extremist formerly known as Jihadi John, thought responsible for the execution of a number of ISIS held hostages, a charity has blamed the UK government for his radicalization. The Home Office refused to confirm his identity due to operational risk, claiming lives were at stake if his identity was publicly known. He is further believed to have featured in the videos of the beheadings of US journalist Steven Sotloff, British aid worker David Haines, British taxi driver Alan Henning and US aid worker Abdul-Rahman Kassig, also known as Peter. At a press conference on Thursday afternoon, research director Asim Qureshi documented the communications between himself and Emwazi. He said the suspected terrorist was in contact with independent advocacy group CAGE for two years after UK security forces interfered with his plans to travel to Kuwait and attempted to recruit him as a spy. CAGE says he was also detained and interrogated in 2009 on what was supposed to be a safari holiday in Tanzania. “I have been trying to find out the reason for my refused visa issue from my home country Kuwait, and a way to solve the issue. So through my friends in Kuwait, it has been said to me that Kuwait has no problem with me entering, and the reason for my refusal is simply because the UK agents have told them to not let me in!” CAGE reported him as saying. He further said the government has created a “narrative of injustice” where Muslims are persecuted and inevitably “felt like outsiders.” He called for a radical overhaul of the system. But Qureshi, who at one stage during the press conference became tearful and called Emwazi a softly-spoken “beautiful man,” is believed to have links to other Islamist campaign groups. The director was filmed at demonstrations at the US Embassy in 2006, calling for Muslims to “support the jihad of our brothers and sisters” in Iraq, Afghanistan, Palestine and Chechnya. “We know that it is incumbent upon all of us, to support the jihad of our brothers and sisters in these countries when they are facing the oppression of the West. Allahu Akhbar! Allahu Akhbar!” he said. The comments from CAGE, however, have been criticized for presenting a skewed view of Emwazi's experience, with critics noting that it is normal for security services to try to recruit suspects, provided it is within the law. The campaign group was also labeled “pro-Jihadi” in 2010 after an Amnesty International official stepped down over the charity's links with CAGE. Emwazi is reported to have links to a former UK control order suspect, who fled to Somalia in 2006 and has alleged links to the funding of militant group Al Shabab, who recently threatened to carry out terror attacks on London’s Oxford Street. Emwazi is a computer programming graduate of the University of Westminster, who lived in Queen’s Park, West London. The University has previously come under fire for giving radical speakers a platform. He last had contact with CAGE in January 2012, Qureshi said, is believed to have traveled to Syria that year, where he later joined the Islamic State. One of his friends told the Washington Post that he had “no doubt” that “Mohammed is Jihadi John,” but his family have yet to confirm the rumors, with Qureshi saying that they were in shock at the revelations. “He was like a brother to me… I am sure it is him. There was an extremely strong resemblance. This is making me feel fairly certain that this is the same person” the friend added. These fresh revelations contradict previous speculation of Jihadi John’s identity as Abdel-Majed Abdel Bary, a rapper from London. The International Centre for the Study of Radicalisation at Kings College London released a statement on Thursday afternoon, saying Emwazi fitted the profile of other British jihadis who had joined ISIS. 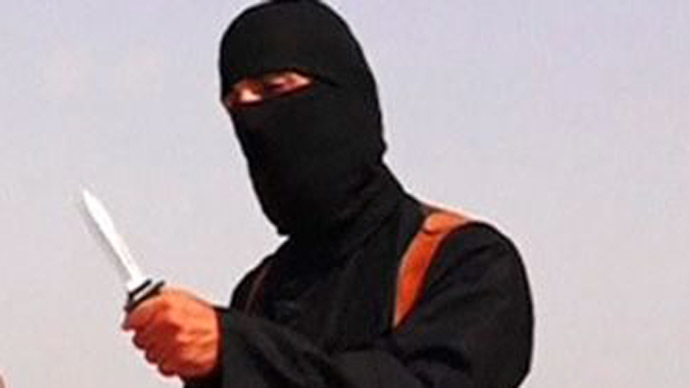 “‘Jihadi John’ is not special in the sense that all the foreign fighters have tried to hide their identity by using pseudonyms or literally by masking themselves,” they said. Emwazi was a middle-class university graduate, something the Centre said was important to note.